Newsstands have been breaking the story in the last 24 hours that just a 180 second workout can apparently be a replacement for an hour in the gym. While the concept isn't necessarily new, we’re investigating how it might help your exercise routine. Many experts have happily put their name to the 180-second high-intensity workout approach with Elite sports physiotherapist Kusal Goonewardena featuring in articles today. She has worked with athletes in Australia and knows her stuff when it comes to training the body. The Heart Foundation Australia are happy to endorse the high-intensity workouts too, as part of a range of weekly exercise. Studies published by the Journal of Science and Medicine in Sport this year also support the method. What can you achieve in 3 minutes? Experts claim that all you need to stay fit and healthy is 180 seconds of high-intensity movement five times per week, ideal for the time-strapped exercise addict who might not have access to the gym. The idea is that the program trains the body to want more exercise, readying you to hit the gym even harder in the future. It's all about getting into the habit of exercising so your body craves more. What are you doing in 180 seconds? You should be targeting 85% effort in this short period of time, which experts say has the same impact on the body as a 30-minute low-intensity session. You may opt for three minutes of sprinting, biking, stepping or even skipping. Anything to raise your heart rate and release the good endorphins. The result; your body starts to crave longer, more strenuous workouts. The desire to get fitter comes naturally. It is advised if you are also completing low-intensity workout sessions you stick with about 2 HIIT style sessions a week. If this type of exercise sounds vaguely familiar that's because it's a HIIT workout, the likes of which we’ve discussed before. 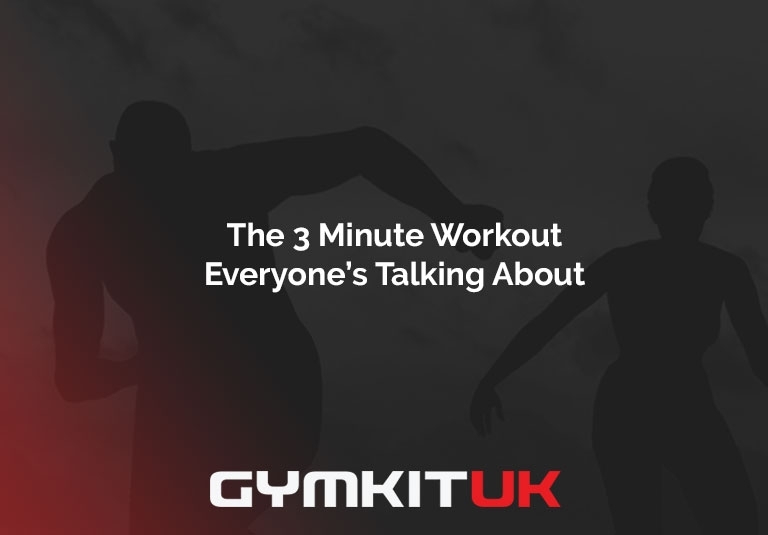 Shop Gymkit UK now for all the new and refurbished equipment you need for your HIIT workouts and beyond.